Riding over the landscape of Cappadocia in a hot air balloon is a photography adventure to add to every Turkey bucket list. 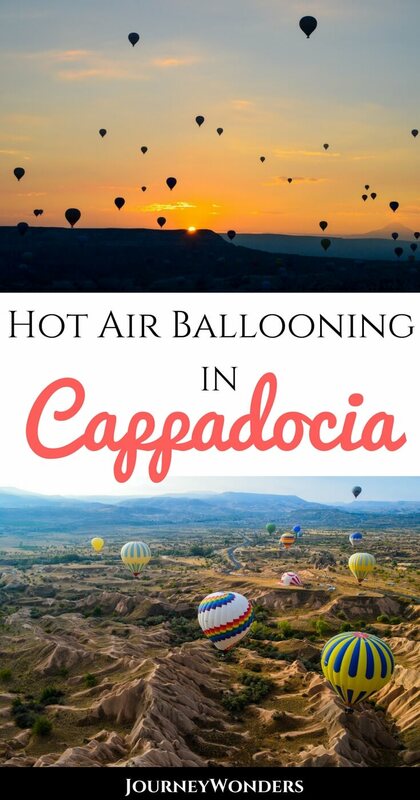 Pure Instagram gold, read on to see why this experience is a must in Goreme as well as how to find the Best Hot Air Balloon Company in Cappadocia. “Once you have tasted flight, you will forever walk the earth with your eyes turned skyward, for there you have been, and there you will always long to return.” Leonardo Da Vinci once said. After taking a hot air balloon ride in the Cappadocia skyline, I definitely agree with him: Flying is a life changing experience. This is a story about touching the clouds. This is a story about overcoming the limits known to man. This is a story about life itself. My story with hot air balloons starts when I was 9 years old and I attended the local balloon festival of Guanajuato. “Don’t you wish you were up there in the air?” my mother asked. “Of course not!” I replied. “I would only think about falling instead of enjoying the view, I prefer to be down here on land” I told her. Flash-forward to a few years later and here I am, ready to get on board this magical experience just in time for sunrise. What changed? I did. Travel has taught me to expect the unexpected and to always embark on new journeys of self-discovering. Not many people have the means or the initiative to take a hot air balloon ride in Cappadocia (after all, it’s important to realize how lucky we are to be able to travel) so when I was invited to take part in this unique experience, it was impossible for me to say no. It was time to conquer my fears and enjoy the best spectacle known to man: The joy of flying. 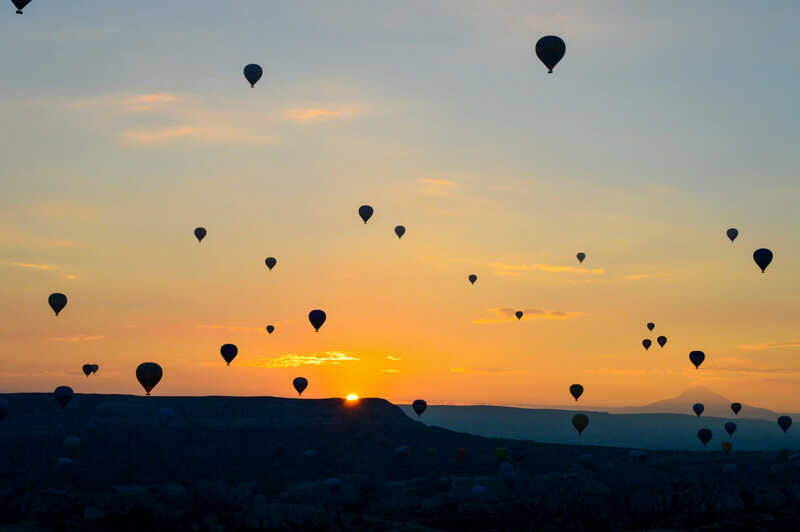 Most travelers who arrive to Cappadocia are encouraged to book a hot air balloon ride the very next morning. This is done in case the ride is cancelled due to bad weather conditions they can still have more days to try out their luck. The day I arrived to Cappadocia it was raining and I could see how travelers were upset because even though they got up, they couldn’t really enjoy it as much. However, the day my flight took place, the weather was looking very promising and we got off just before sunrise in order to enjoy it from above the clouds. Everything was going great until suddenly, a big dark cloud arrived and blocked the rays of the sun. The battle between light and darkness just started, a clear symbolism regarding the story of the region itself. You see, the history of the region of Cappadocia is probably best known by the actions of the early Christians of the 4th century. They are the ones who built the underground cities to avoid persecution during Roman times since Christianity was not allowed by the Empire. The problem was that the oppressed Christians ended up oppressing their own people and killing dissidents who tried to speak out and escape the underground cities searching for a better life. The ongoing battle of darkness versus light was taking place before my own eyes as the dark cloud began to diminish the presence of the sun until it was almost gone, symbolizing a dark reflection of the current conflicts on this Earth of ours. But trust me, good will always overcome evil. In a matter of seconds, the sun prevailed and the dark cloud was only an after-thought. Light conquered darkness just as I was conquering my fear of heights. However, there was still something else that I had to do. A common joke told among people who are afraid of heights is that they aren’t really afraid of being in a high place: They are afraid of falling from said high place. And in order to fully leave my fear behind there was something I had to do: Look down. 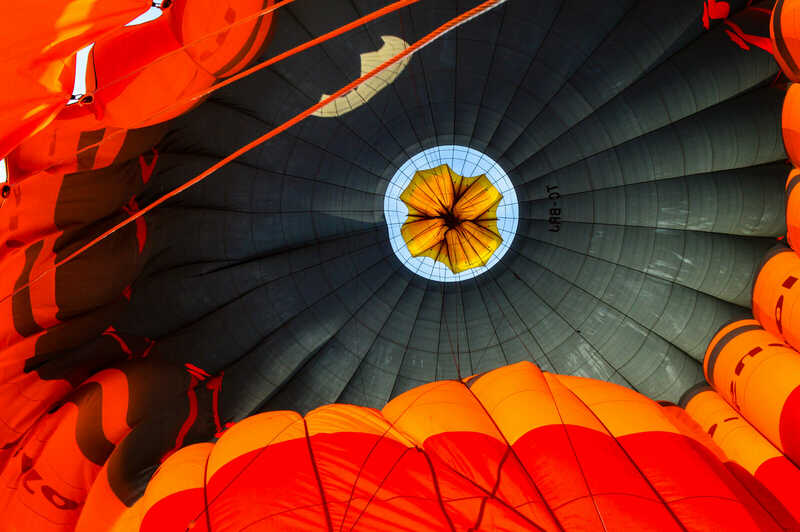 The difference between looking down from an airplane and looking down from a hot air balloon? The lack of windows. There is nothing as frightening as seeing that there aren’t any barriers between you and the world that is now below your feet. And yet, as I looked down I realized something: There is nothing special about being fearless. The special part comes when you realize that you’re no longer afraid of things that used to scare you. 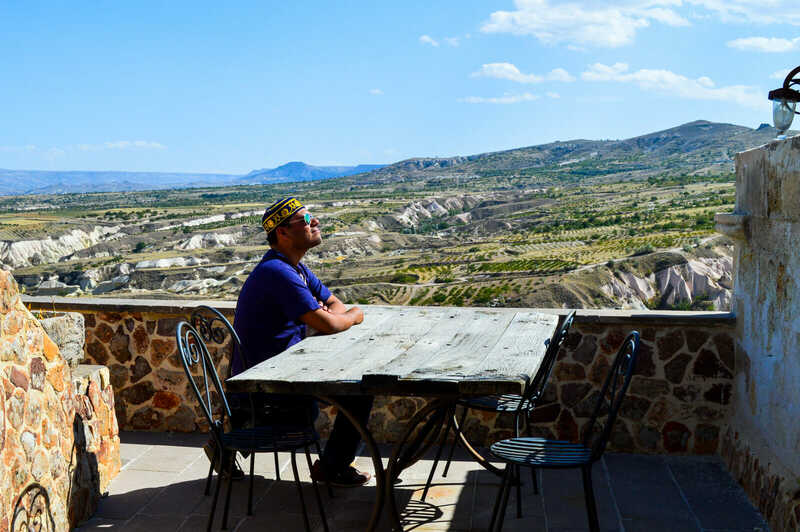 In the end, I began to stop worrying about falling and I started to focus on enjoying the breath taking beauty of the valleys of Cappadocia. 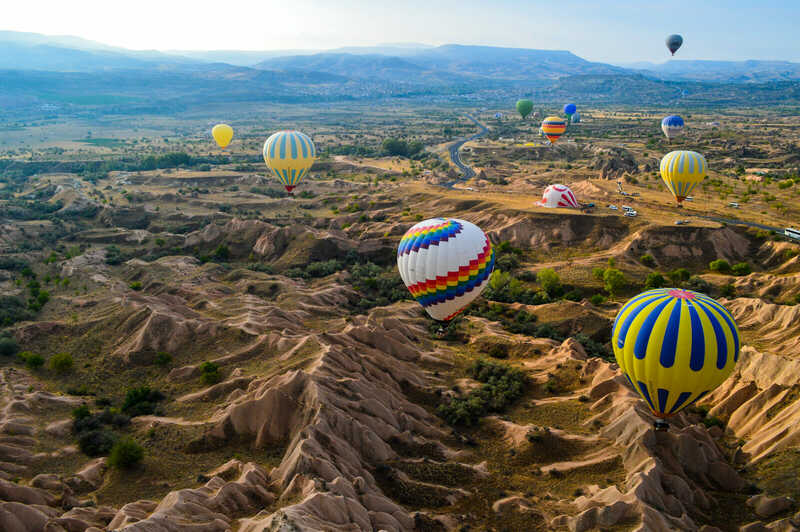 Most hot air ballon rides will last from 60 to 120 minutes in which you will be able to see Goreme and the nearby natural landscapes including the Love Valley, the Zelve Open Air Museum and the Red/Rose Valley. The best part? 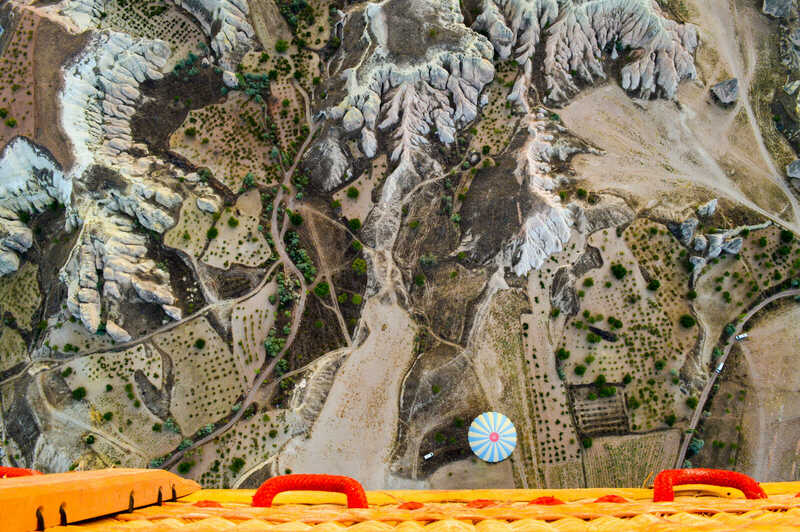 The hot air balloon ride is completely interactive since your pilot will control the altitude in order to let you experience Cappadocia up close. He will also serve as a guide who will share his knowledge about the region so be sure to ask him any questions you might have. Many travelers book their hot air balloon companies via agencies or their hotels/hostels and don’t even know the name of the company until the very same day of the flight, this is not recommended since it will be more expensive due to commissions plus the fact that you will know nothing about the company in question. When choosing the right company there are four main factors that you should be considering: Price, Number of People, Flight Time and Experience. Plus, champagne if you’re into that. You don’t really want to be in an expensive hot air balloon ride with 20 people that only lasts 20 minutes do you? Standard flights for 20 people (160 euros, 60 minutes), Comfort flights for 12 people (180 euros, 60 minutes), Deluxe flights for 8 people (250 euros, 90 minutes) and Exclusive flights which are mostly taken by couples on their honeymoons and by people wanting to propose. Regardless of which one of the 4 options you choose, the staff of Voyager Balloons will pick you up at 5 am from your hotel (check out the Best Cave Hotels of Cappadocia) and then take you to their base in Goreme where you will be served a buffet breakfast as they brief everyone about the hot air balloon ride after which they will drive you and your group to the launching spot. After the ride is over, you will be landing in the outskirts of Goreme where you will receive a flight certificate and yes, a glass of champagne. What a day, uh? If you ever visit Cappadocia before you die (and yes, you definitely should), the hot air balloon ride is one of the most incredible ones you will ever experience in this lifetime. Would you dare to miss out? Share your thoughts and let me know what you think! Finally, I would like to thank Voyager Balloons and pilot Hakan Yildiz for their amazing professionalism and for having invited me to fly with them. 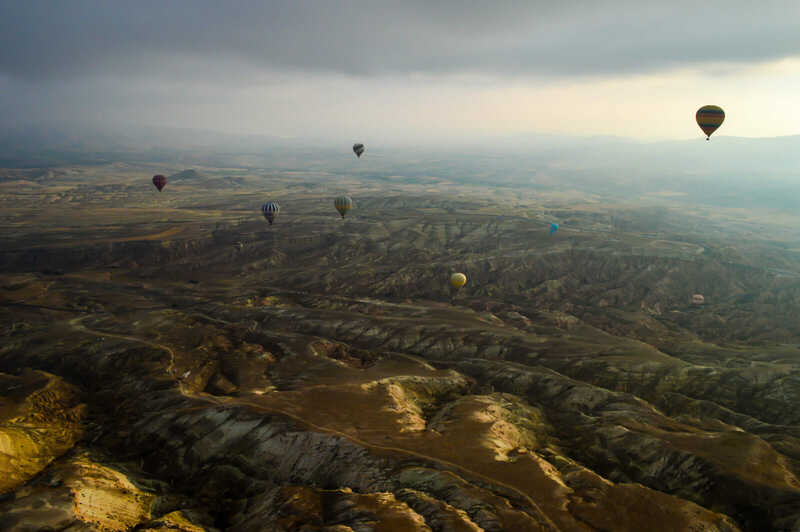 Soaring above the valleys of Cappadocia on a hot air balloon is a truly remarkable experience! Haha right after I said on your last Cappadocia post that this was on my bucket list. What an awesome experience and great photos! Thanks Hanna! Flying in Cappadocia is such an amazing experience! Wow this looks amazing!! Dying to try it there! I’m sure you’ll love it Christine! I’ve always wanted to do this!! It looks like an amazing experience. Great photos!! Like you before this ride Raphael, I’m terrified of heights. I dislike flying, and really don’t like being in the window seat. I get sweaty palms and feel dizzy if I look out of the window! Yet I feel like I should really ride a hot air balloon in Cappadocia! It might terrify me, but I’ll give it a go. It’s always good to overcome our fears and the Cappadocia hot air balloon is a good way to do it! Wow ,what an experience! This is the numero uno on my bucket list! As far as I remember I took my flight with them as well, the service, people and the whole flight were just great! Yes, Voyager Balloons offer a very excellent service! SOOOOO envious! Looks like a wonderful experience. I couldn’t believe the ‘vertigo’ picture was real! WOW unreal photographs! So so gorgeous. I would be so afraid of doing this though! But you have encouraged me to face my fears and perhaps give this a try in the future. It would be such an incredible experience. It will be, it’s always good to overcome our fears Lauren! You’re small enough to fit in my luggage, deal! What a fabulous experience. I am yet to try hot air ballooning, need to get on that. Ohh and super photos Raphael. I have been on a hot air balloon ride twice now and I too have a fear of heights. The sides of the basket are high enough and the peaceful calm you feel when you’re up there is enough to ease my anxieties! Looks like I need to add another ballooning location to my list! Gorgeous pictures! 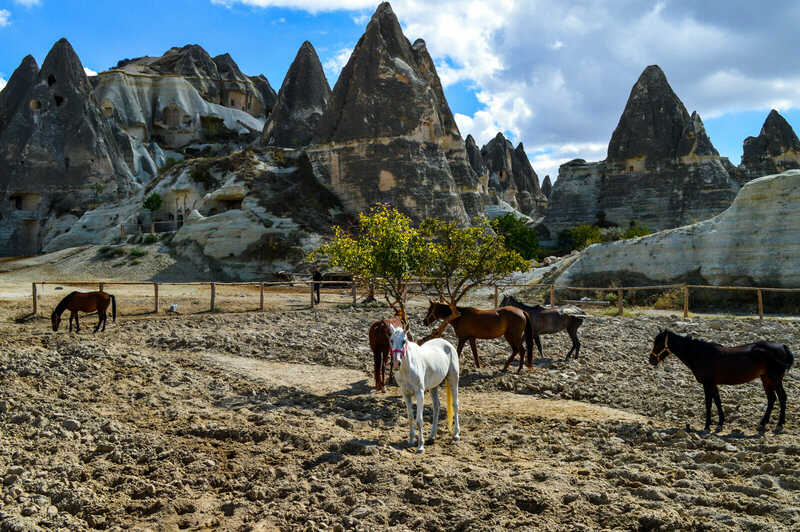 What a great way to see Cappadocia! I am envious on both aspects because I would really love to experience a hot air balloon ride but also exploring this part of the world is something that I am looking forward to doing. The added touches of the champagne just add to the overall experience and even though it is a long day, everything you described makes it worthy of getting up before dawn to participate in this!